Please be sure to read your confirmation email for complete details regarding your train ride. If you do not see your answer on your confirmation email, please check below. If you question is unanswered, please contact our customer service. Thank you! We do have restrooms on board all of our summer and fall excursions until freezing weather occurs. We also have bathrooms in all weather located in the Chester and Burlington stations. ARE THE TRAINS HANDICAP ACCESSIBLE? We do have a wheelchair lift to get on the train. However, our historic cars are not ADA compliant. We will try our best to accommodate all passengers. Please see our handicap policy on our policy page for more details and information. DO YOU HAVE OPEN AIR CARS? We do not have any Narragansett-style (open-air) cars. All of our passenger cars are enclosed with large windows. Our Silver Fleet is fully climate controlled with both heat and air condition; our Green Fleet is climate controlled with heat only. WILL YOU OPERATE IN BAD WEATHER? We operate in all weather conditions, and will not delay the train due to weather. Please be safe while traveling and give yourself extra time if necessary. Seating will be selected at time of purchase for all Dinner Trains and Lounge 91. All other trains will not have assigned seating. Please see our Rules of the Rails for more details. CAN I BRING FOOD ON BOARD THE TRAIN? Outside food and drink is NOT permitted on any of our Dinner Trains, or the Lounge 91 excursion. Passengers are permitted to bring their own food and non-alcoholic beverages on board our fall foliage excursions . We will have a concession stand with a small selection of snacks and soft drinks for purchase. Outside alcoholic beverages are NOT permitted on board any of our excursions. We offer a full bar service on all of our Dinner Train Excursions throughout the season. Chartered events may bring alcohol on board if provided by a licensed caterer. DOES A MEAL COME WITH MY TICKET? A meal is provided in select train tickets, including the Champlain Valley Dinner Train, Murder Mystery Dinner Trains, and the Mother's Day and Father's Day Dinner Trains. A selection of Hors-D'Oeuvres will be provided on Lounge 91. HOW CAN I PAY FOR MY TICKET(S)? We accept all major credit cards for our online ticketing system. Also, we also take cash or personal checks at the station. Phone reservations may also be made between 8:00 AM and 4:00 PM, Monday- Friday. Our customer service line is 800-707-3530. CAN I USE A CREDIT/DEBIT CARD ON BOARD THE TRAIN? Yes, you may use a credit/debit card on board our Dinner trains and Lounge 91. For trips out of Chester, we are only able to accept cash for concessions. We also prefer cash for gratuity which is not included in any ticket fare. WHY WAS I CHARGED AN ADDITIONAL FEE? Our online ticket service may require an additional tax/fee for each ticket to be processed. If you have any questions, please call our customer service line between 8:00 am and 4:00 pm, Monday-Friday. Our customer service line is 800-707-3530. You can purchase tickets online from the links included on our pages, or in person at the station, generally one hour before departure on the day of an event. Phone reservations may also be made between 8:00 AM and 4:00 PM, Monday- Friday. Our customer service line is 800-707-3530. I PURCHASED MY TICKETS ONLINE. HOW DO I RECEIVE THEM? Your tickets will be sent to you via email unless you manually selected the will call shipping method upon checkout. Please print or have the barcode ready on your mobile device when arriving at the station to ensure a smooth boarding process. For questions about will call, please see the next question. WHAT HAPPENED TO GOLD CLASS? Gold Class was another ticket type that we previously offered on our dinner trains, that included access to our lounge car along with a three-course dinner. The 'Gold Class' lounge car has been transformed into a separate experience, which is now called Lounge 91, a speak-easy style bar on board with live music every trip. Tickets may be refunded up to one week before your event date during our regular business hours (Mon-Fri, 8 am - 4 pm). Seat upgrades (dinner train) & last minute joining of parties may be accommodated, but are dependent on availability. We do not allow refunds for the following: Missed Train, No Call/No Show, Seat changes due to weather. A non-refundable, one-time exchange for a different date may be processed depending on availability. Please see our Rules of the Rails and additional Policies for more information. CAN I EXCHANGE MY TICKETS FOR A DIFFERENT DATE/TIME? A non-refundable, one-time exchange for a different date may be processed depending on availability. Exchange requests must be made by the date of the train ride initially purchased. Exchange requests after the original date of travel may not be granted by a ticket agent and will not be eligible for a refund. WHAT HAPPENS IF I MISS THE TRAIN? Missing a train can be very inconvenient for both parties. Much like an airport, we operate on a set departure schedule. The railroad understands that, at times, circumstances cannot be avoided and in these instances, we may offer to exchange the ticket(s) for a new date of the customers choosing depending on availability. No refunds may be given unless the customer follows our cancellation policy explicitly above. Please make sure to account for weather and parking while traveling (Burlington may have construction). Please make sure to read your confirmation email in full detail before your event for specific information about your event. WHY ISN'T THERE A CHILD TICKET FOR THE DINNER TRAIN? For safety reasons, and to ensure a relaxing experience for all patrons, the Champlain Valley Dinner Train, and Murder Mystery Dinner Trains are limited to passengers age 6 and older. Children under the age of 6 may be accepted to ride on a case by case basis. We do not offer a children's menu on these trains. All other trips are welcome to children of all ages. Our Mother's Day and Father's Day Dinner trains include a children's menu. You are welcome to bring a portable high chair as long as it is not placed in the aisle of the car. IS THE TRAIN APPROPRIATE FOR SMALL CHILDREN? All train rides except for our Champlain Valley Dinner Train & Murder Mystery Dinner Trains are kid friendly. Fall Foliage Excursions are both educational, fun, and perfect for people of all ages. Parents are held responsible for the safety of their children on board our train, and we ask that they help enforce our safety rules at all times. DO YOU HAVE SPECIAL ACCOMMODATIONS FOR CHILDREN? On our fall foliage excursions, we offer historical narrations that are very educational, activity sheets and 'games. We have a changing table next to the restroom in Car 3089 on train rides departing from Burlington with a courtesy curtain for your privacy. You are welcome to bring a portable high chair on board the train as long as it is not placed in the aisle of the car. We do not provide high chairs. We do not allow animals on board any of our trains. Some passengers may find it uncomfortable to be in the proximity of even the most well-behaved pets. However, Service Animals (animals train trained to do work or perform tasks for the benefit of an individual with a disability, including a physical, sensory, psychiatric, intellectual, or other mental impairment) are welcome on board. We strongly recommend making reservations for any of our trains to guarantee ridership. However, it is not required for any of our excursions. Tickets may be purchased at the station up until it's departure time based on availability. Please note that all tickets are first-come-first-serve. IS PARKING AVAILABLE AT YOUR STATIONS? Parking is free in Chester, Shelburne, and Charlotte. 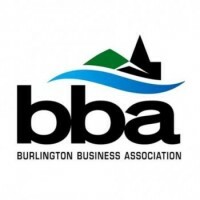 Burlington may require paid parking by the waterfront. We provide specific location details on each event's page which includes a map and parking information. Please ask before arrival if you have a large vehicle and we will assist you in finding a parking location. DO YOU OPERATE OUT OF BELLOWS FALLS OR WHITE RIVER JUNCTION? No, all of our regularly scheduled trains depart from either Chester Depot or Burlington Station. We have changed our location and schedule based on the increase in freight activity over the last few years. WILL WE HAVE A PRIVATE TABLE? - The Burlington Kids Day train, Independence Day Flyer, Old Home Days Fireworks train and all of our daytime Fall Foliage Excursions are based on traditional rail travel which seats four people to a table or two people in each rollover seat in our coaches. If you have a party of more than four people, you may be asked to utilize all four seats at one table, and the rest of your party may be seated at the table next to you. We may fill in empty seats if necessary. Parties of two may be asked to sit with another party of two. - Guests may select their seats upon checkout for our Dinner Train and Lounge 91. Parties of two will automatically be seated at a private table. - To provide the best experience for our guests, the Murder Mystery Dinner Trains will be sat four to a table. For all other dinner trains, each group of guests will have their own table. Seating can be selected upon purchase. DO YOU HAVE A ONE-WAY RATE? All of our train rides are round-trip. We do not offer one way fares. We do allow bus groups to travel one way on Fall Foliage train rides to Ludlow with advance notice (this will not change the pricing).